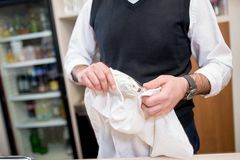 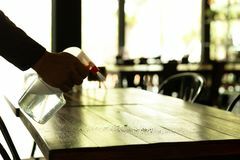 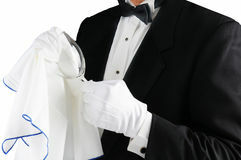 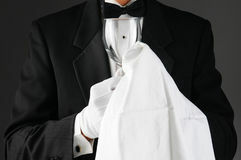 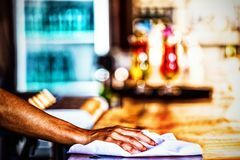 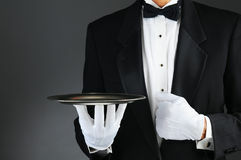 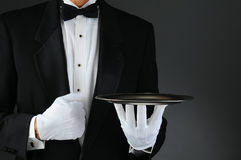 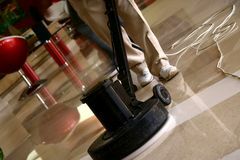 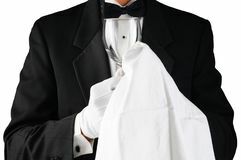 Closeup of a waiter wearing a tuxedo polishing a wineglass. 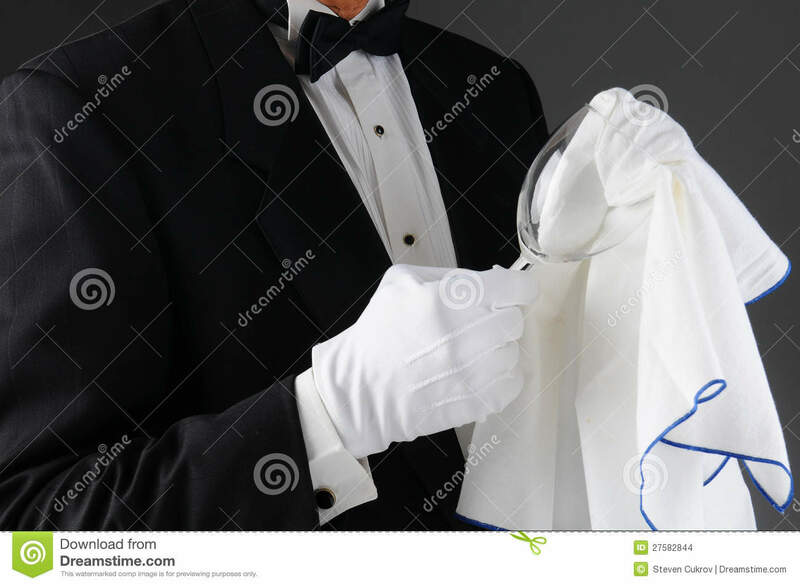 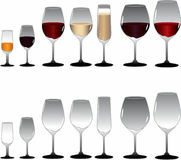 Horizontal format on a light to dark gray background. 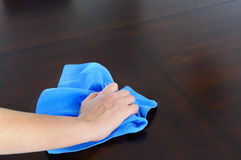 Man is unrecognizable. 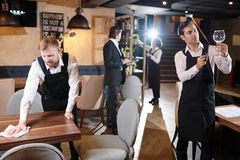 Wine Glasses Polishing wood Polishing shoes Cleaner polishing office floor Polishing fingernails Polishing Mechanic repairing and polishing car headlight Waiter Holding Wine Glasses Worker polishing a car.